The meetings industry has been trying to come up with a "green" standard for over 10 years and it looks like they just got closer with the Accepted Practices Exchange (APEX) launch of best practices for green meetings. Even though the entire document isn’t complete, there are some basic questions you can ask when renting audio visual equipment about the supplier’s practices and equipment in order to determine their commitment to being green. Does your organization recycle? An AV company can recycle their cardboard and paper when they ship and receive equipment. The company location should have a recycling initiative as well, to recycle aluminum, glass, and paper products. How are you reducing energy use? 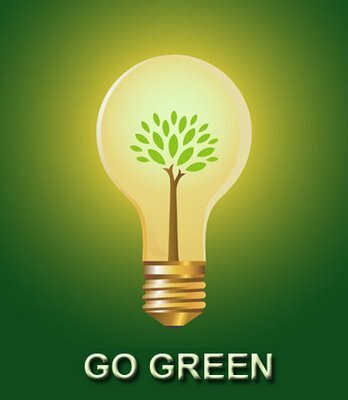 Simple ways can be to: use energy efficient lighting with their light equipment rentals, ask if their equipment has EnergyStar efficiency or any other certification, and inquire what equipment is the most energy efficient. How can they help you reduce paper consumption? One of the goals of the green movement is to reduce the number of trees being cut down, especially for paper products. Rent tablet PCs for your attendees instead of printing, copying, and assembling massive binders. Put wireless computer kiosks in place for digital signage, self-service check-in, or concierge services. Audience Response System rentals can replace paper evaluations. Are you local? Having a local AV company can save you a lot on shipping costs, not to mention the time and effort of the AV production team. Hiring a local firm keeps carbon emissions low. In addition, supporting locally owned companies gives a boost to the economy by putting people to work in their own communities. Where does your old equipment end up? One of the nice things about renting AV equipment, is to realize that they are reusing that equipment many times before the end of the product’s life. However, it is important to know if their equipment ends up in a landfill or they have other uses for it, such as donating it to a school or non-profit organization. While being green can seem like a complex issue, simply asking these 5 questions will help determine if the AV company you are looking to partner with is on the right track toward sustainability. AV Event Solutions is committed to being your green supplier. Based in Los Angeles, they have offices throughout California to service your association or corporate audio visual needs. Give them a call today!